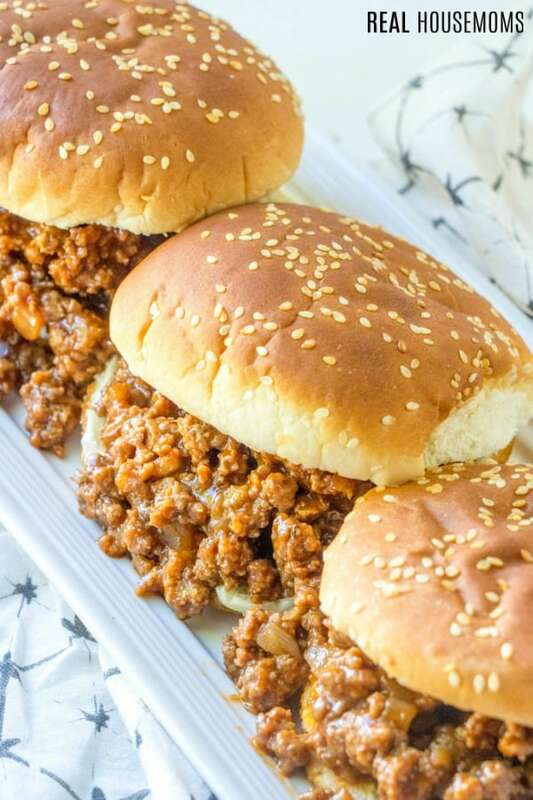 A super quick and easy meal this Sloppy Joe Recipe is a family favorite that is completely homemade and completely addicting! 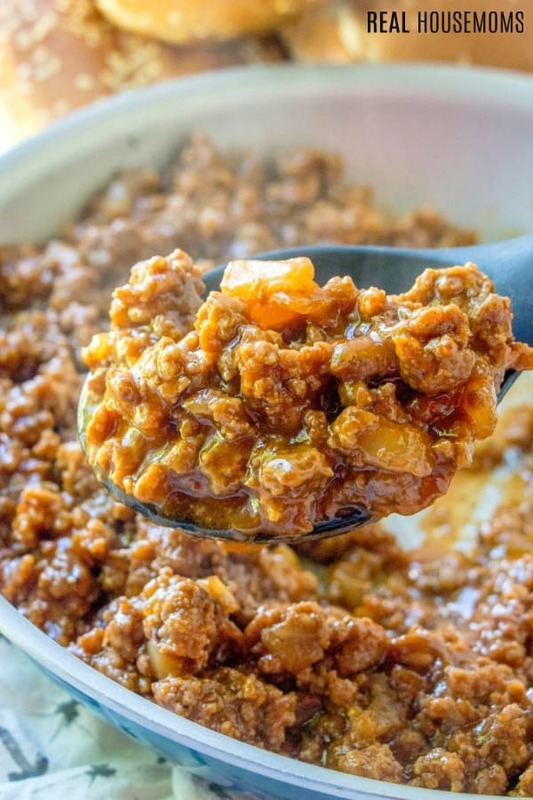 Who doesn’t love a good old homemade sloppy joe recipe? This is one of my kids all time favorite recipes ever. Hands down, they adore these easy sloppy joes and so do we. 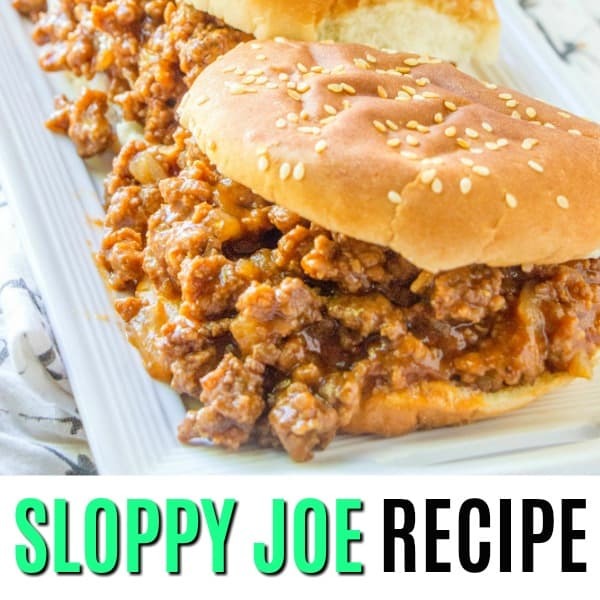 This sloppy joe recipe is an American classic everyone should have in their recipe box right next to your favorite chicken recipes! Now growing up my mom always made homemade sloppy Joe’s and they were amazing. She used canned tomato soup in hers and they were one of my favorite recipes. Once I moved out of the house and had a family of my own I will have to admit that’s we used the store bought sauce the majority of the time. That went on for a few years until I decided to play around in the kitchen and whip up a recipe that we adored. 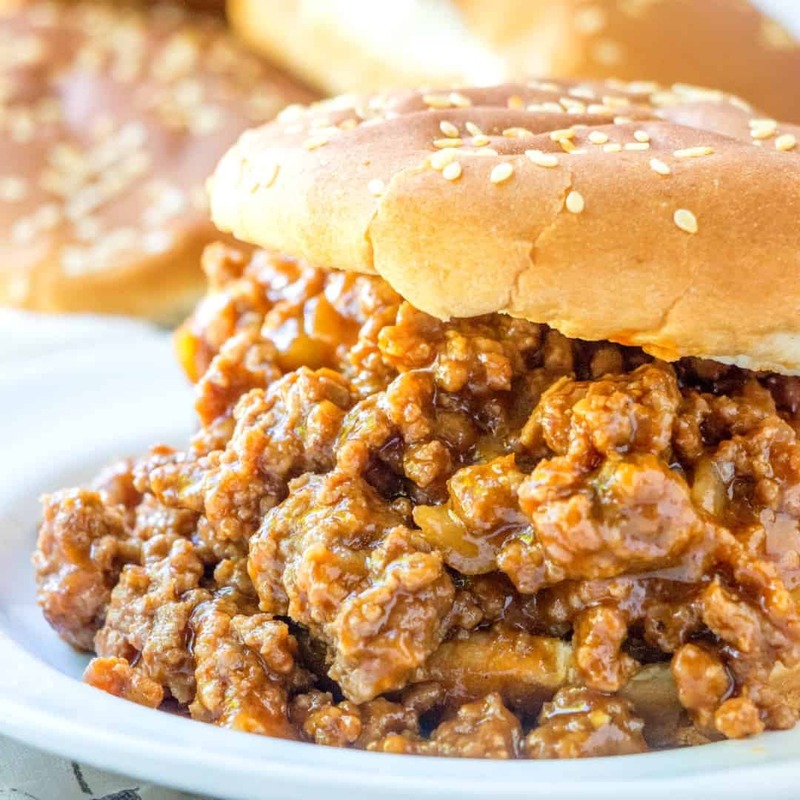 This best sloppy joe recipe is literally so simple, it whips up in less than 10 minutes and feeds a bunch. Another amazing thing is that this recipe can easily be doubled or even tripled!! I mean how can you go wrong with that. First, you start out with some good quality ground beef. We usually use 80/20. You fry that up with some onions and garlic until beef is no longer pink and onions are translucent and garlic is fragrant. You then add in some ketchup, bbq sauce…yes bbq sauce, trust me it gives this bbq recipe just the perfect flavor of smoky and sweet. You then add in some mustard, vinegar, brown sugar, Worcestershire sauce, salt, and pepper. I mean those are ingredients that are usually are staples in your cabinet already so when I say easy I mean it. This is our go-to easy sloppy joe recipe and everyone always asks me for it. I mean obviously, I’m happy to give it to them because in this family food is life and if someone falls in love with something we like to share. 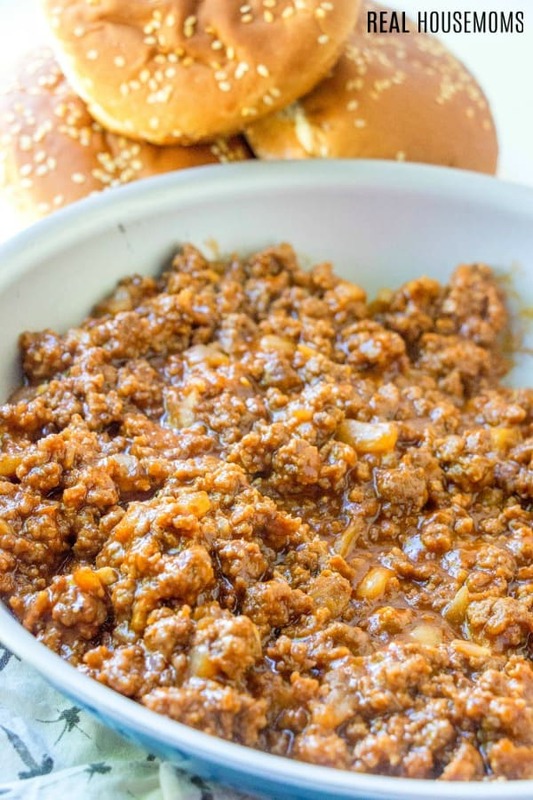 So if you’re looking for a quick, easy and flavorful weeknight dinner or lunch than this Sloppy Joe recipe is the only one you need in your arsenal. Try some of our other family favorite meals! In saute pan add your ground beef, onion and garlic and brown until no longer pink and onions are translucent, drain. Add in your bbq sauce, ketchup, Worcestershire sauce, brown sugar, mustard and vinegar and stir until combined and heated through. Hi do you use mustard powder mustard sauce or jar mustard? Just good ol’ mustard sauce that you would have in the fridge.